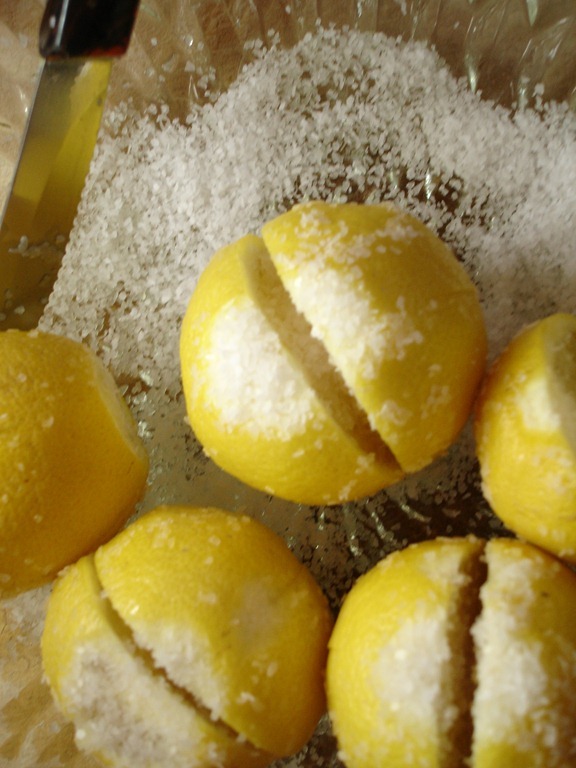 Lemons Preserved in Salt. This is what it looks like after some time in the jar. I was in a hurry and didn’t get pictures of the fruit taken out of the skin, chopped in pieces and added on top of the hummus. But it was delicious. More salty than sour. This is how they looked 4 months ago. 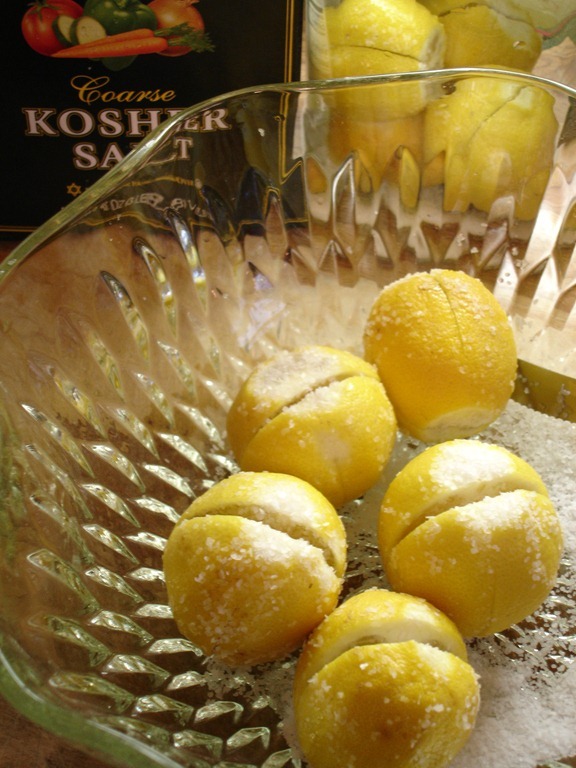 A lovely bag of organic lemons and some course kosher salt and a big jar. …If life gives you lemons, throw ’em into a quart of vodka. If life gives you lemons, do you make lemonade? Well, guess what… life hasn’t given us lemons, it’s give us sh*t! I loved the way this photo came out with colors of the green glass of the bowl coming out. I’ve had this glass bowl since I was 18, so it has moved around with me a lot. It’s amazing it’s lasted. Now I’ve said something someone will probably drop it—ha ha. 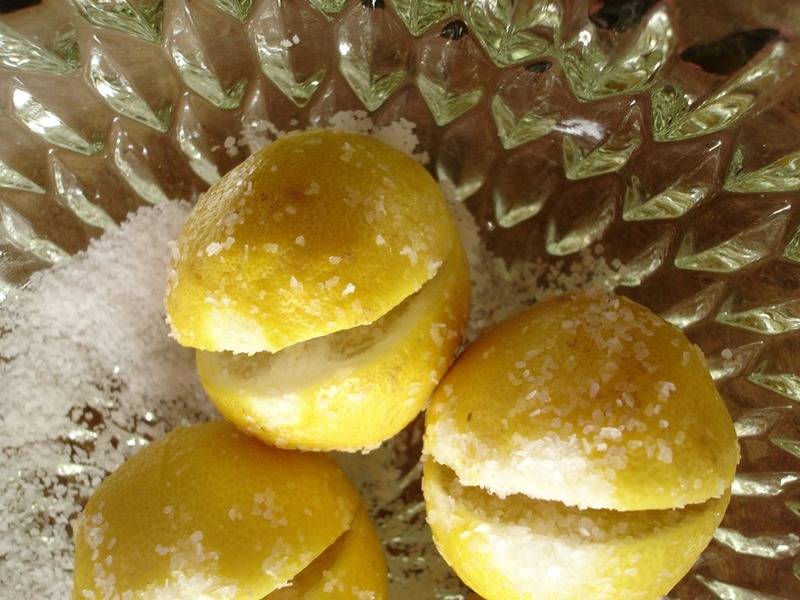 ~~When life gives you lemons, just shut up and eat the damn lemons. When life gives you lemons, you probably just found lemons. If life gives you lemons, make lemonade. Then look for someone whose life gave them Scotch. When life gives you lemons, you make lemonade. Unless you don’t have any water or sugar. 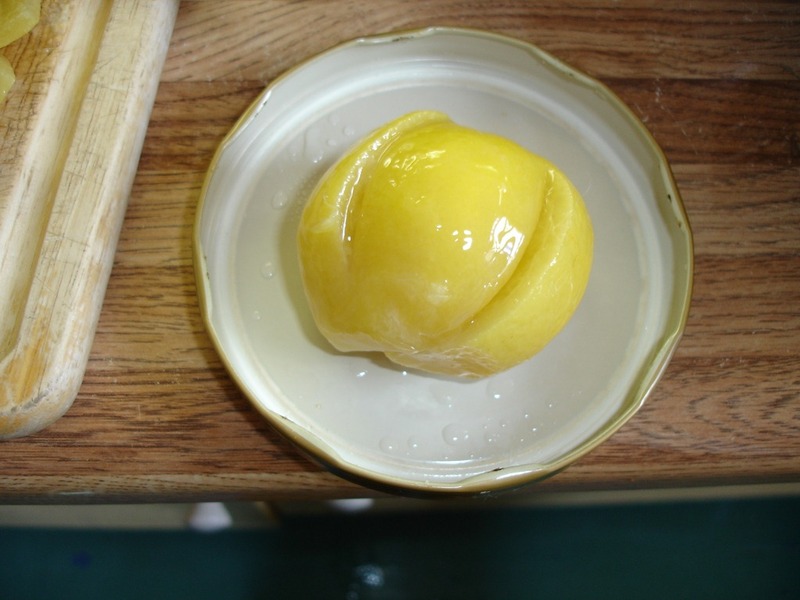 And then you just eat the lemons, and the rind will give you diarrhea. When life gives you lemons, just say *beep* the lemons,’ and bail. When life gives you lemons, you make lemonade… and then that lemonade turns bitter, ferments and turns to pigswill. Melody: The tough make lemonade! "Bill, haven’t you ever heard the expression, ‘When life gives you lemons, make lemonade?’"
"Dave, haven’t you ever heard the expression, ‘When life gives you lemons, make lemonade, and then throw it in the face of the person who gave you the lemons until they give you the oranges you originally asked for?’"
When life gives you lemons, don’t make lemonade. Make life take the lemons back! Get mad! I don’t want your damn lemons! What am I supposed to do with these? Demand to see life’s manager! Make life rue the day it thought it could give Cave Johnson lemons! Do you know who I am? I’m the man who’s gonna burn your house down! With the lemons! I’m gonna get my engineers to invent a combustible lemon that burns your house down! Alright, I’ve been thinking, when life gives you lemons, don’t make lemonade! Demand to see life’s manager! Make life rue the day it thought it could give Cave Johnson lemons! Do you know who I am? I’m the man whose gonna burn your house down… with the lemons! So, my grandma Reynolds was always saying ‘when life gives you lemons, make lemonade.’ I wish she was still alive, because I’d really like to ask her what she suggests for when life gives you Chlamydia.